When a prison loses its keys, a steel bridge may collapse because too many people spit on it, and there’s a contest for watching paint dry, well, that can mean just one thing. What it is, we have no idea. But it may be something to do with the end of the year, or of an era, or hopefully, of people who make a living predicting the end of times. Whether we’re all going bonkers or stuff like that happens all the time, though, here’s to the pleasures of being a fly on the wall and looking upside down at the world residing next door. But before we go any further, let us acknowledge all the weird news sites that have helped Colltales to amass the almost thousand posts it has on file. We wouldn’t do it without you, guys, so thank you. Now, off to our Thursday Trio. Now, that’s enough to inspire J.K. Rowling to go back to her old, beaten typewriter and come up with yet another installment of her officially concluded book saga franchise. One of Israel’s most sought after touristic attractions, right up there with the Western Wall, the Temple Mount in Jerusalem, the Dead Sea and the town of Nazareth, is the grave site of Private Harry Potter, an English soldier who died age 19 in 1939. And in following a Reds’ time-honored tradition at the KOP, they may just have another go at it. Two deceptively simple recycling power projects are helping restore our faith in human ingenuity and the feasibility of alternative sources of energy. 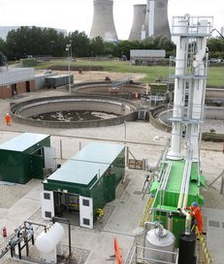 An experiment in Oxfordshire, England, is turning human sewage into power for 200 residences. And a dog “poop converter” was used to light up a park in Cambridge, Massachusetts, for a whole month.